I actually had time to craft this week, it felt really good to do that... I am enter this card into 5 challenges. I used the the Pooh and friends cart. I hope you enjoy my take on their challenges! 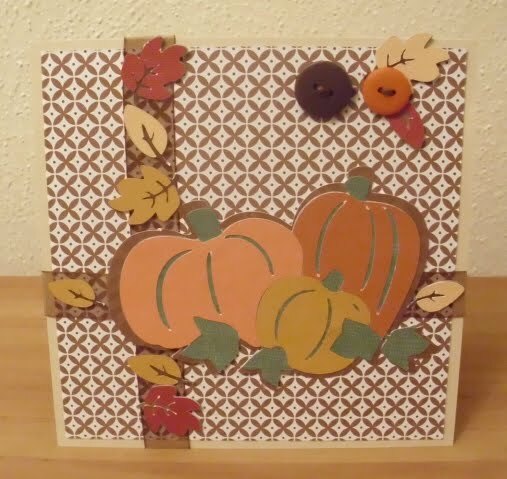 Crafty Creations Challenges- So for this weeks challenge I challenge you to use falling leaves. Fall colors, fall harvests, fall leaves! This is really cute! Thanks so much for playing along with us at PeachyKeen! Good luck! I love those pumpkins! This is so cute. Super card! Those pumpkins done in different sizes and colours look great! Wonderful touch with the leaves and buttons too! a fabulous fall card you made here! Love the pumpkins! Thanks for joining us at Crafty Creations! Thanks for joining us at Crafty Creations Challenge with your beautiful card! Good luck! Love the card and loving those pumpkins. 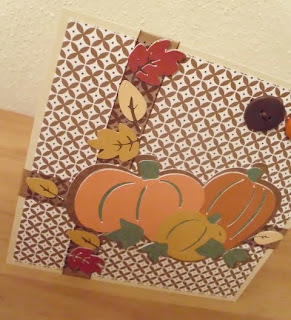 Great fall card!! Hi Melissa! 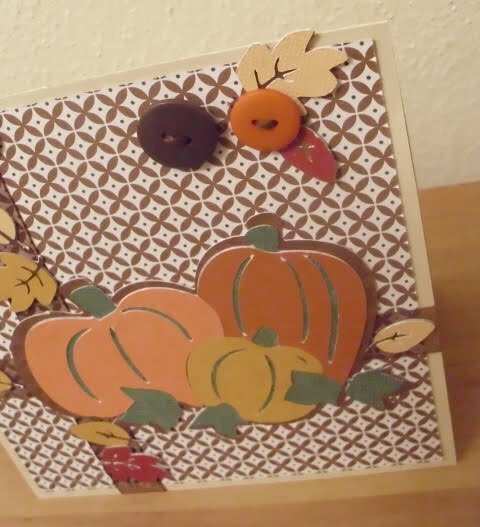 Your card is wonderful and you've done a great job using the sketch and color theme. So happy you could play along with us at the Peachy Keen Challenge Blog. fall is in the air...very nice! great. I don't realize who you might be but definitely you are going to a well-known blogger in the event you are not already.